Sweet potato and bacon balls. Best snack recipe ever! Sweet potato and bacon have got to be one of our all-time food combos. Well, actually… probably bacon and anything goes. And then sweet potato and anything for that matter. 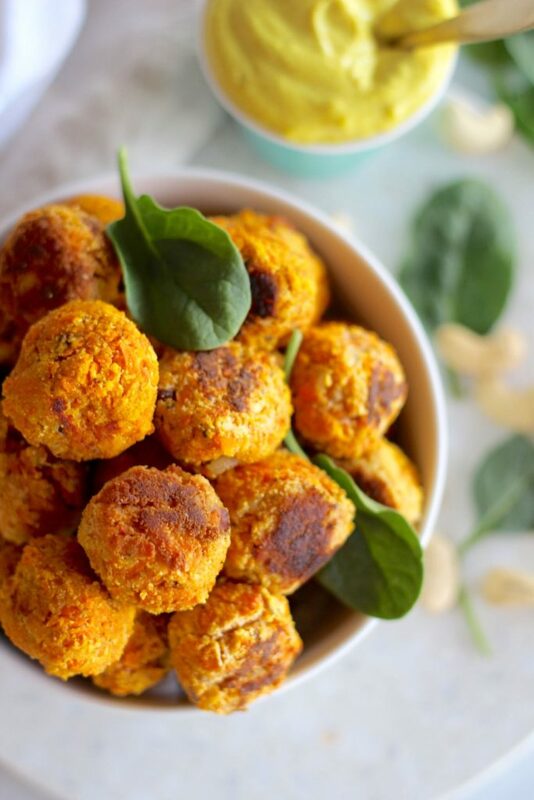 But these sweet potato and bacon bites are officially our new fave savoury recipe. This recipe was inspired by one of our most popular recipes, our zucchini and bacon bites. The most popular savoury snack by far. Whenever we share it on facebook it goes kind of crazy and we’ll get sent a bunch of delish zucchini and bacon bite photos from you all! So fun! These balls are perfect for breakfast, lunch, dinner and snacks really! Just add them to a big salad for lunch or dinner. For brekky, you could serve them with scrambled eggs and avocado. For snacks, they are delish alone or you could serve with a yum as guacamole. You all know how much we love avocado. It makes every meal into an epic meal. This recipe is an app only recipe. You can find it in the savoury snack section on the app. YAY! The Get Merry recipe app is all about convenience. 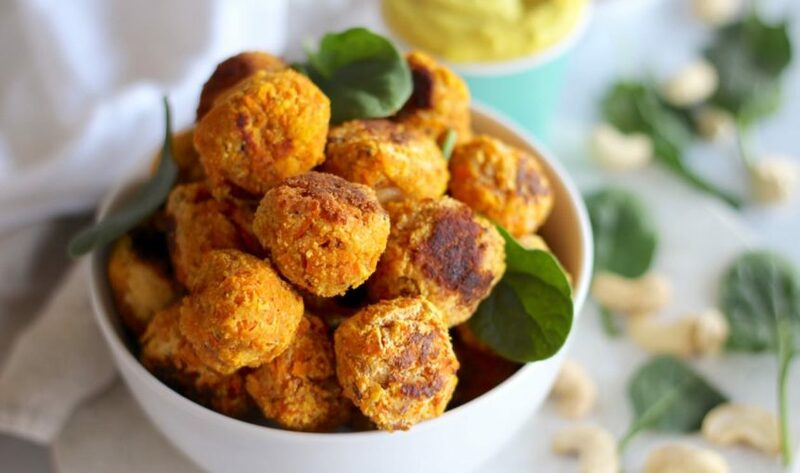 When you download the app to your phone (you can get in on iPhone and Android) you’ll get almost every single recipe form this site (just not the super old/ugly ones :P) PLUS extra delish app only recipes like these sweet potato and bacon balls. 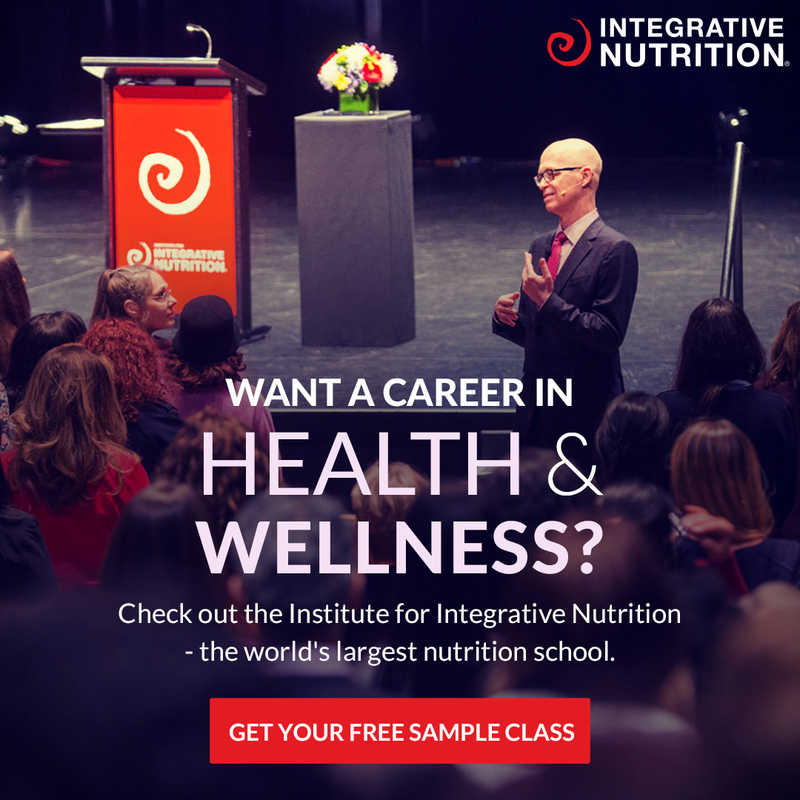 Some other app only recipes are our peanut butter baked cheesecake, date free bliss balls, low carb strawberry doughnuts with peanut butter frosting (OMG YUM), picnic bar, choc chip banana muffins, a bunch of smoothies and sweet potato loaded fries and more! YAY! 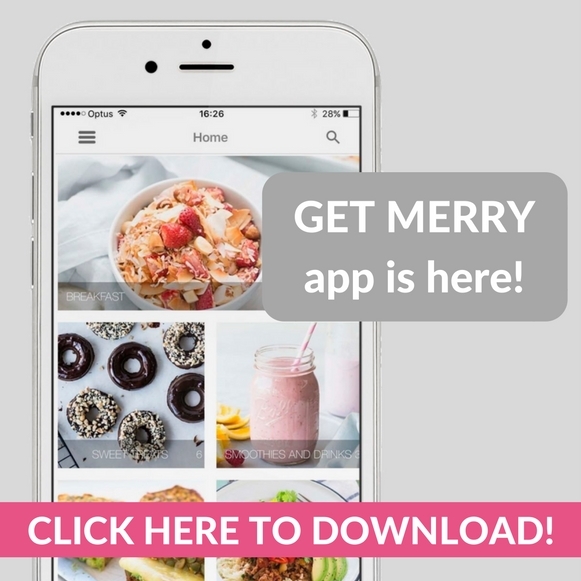 Get more info here or simply search ‘Get Merry’ in your app store!